In a somewhat surprising move, the Yankees have purchased the contract of LHP Ryan Bollinger from Double-A to serve as an extra arm in the bullpen after AJ Cole and Gallegos both pitched a lot yesterday following German’s subpar outing. 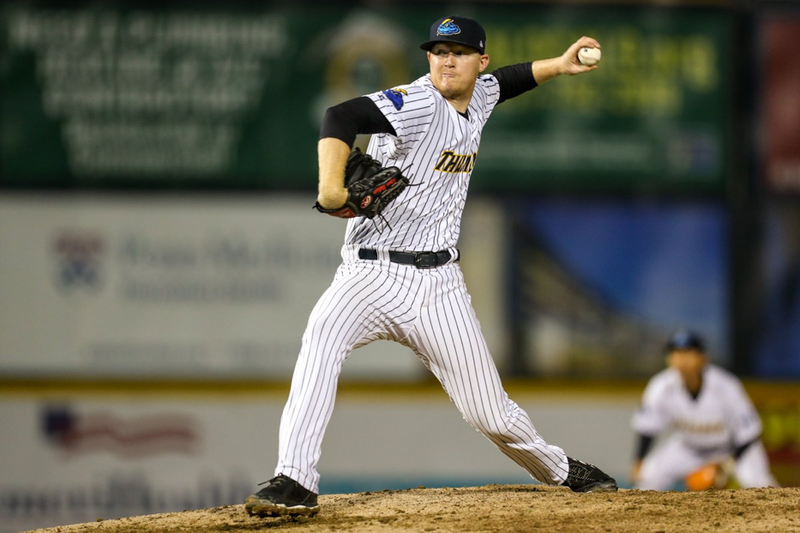 Bollinger, 27, was drafted in the 47th round in the 2009 draft by the Phillies and has been pitching in Independent ball, Australia, and Germany since 2014. In his first and only season in the Yankees organization the 6’5”, 230-pound southpaw is 3-1 in five starts between Trenton and Scranton and posted a 1.86 ERA. He has accumulated a 0.86 WHIP, 7.0 K/9, and 2.2 BB/9. This will be his first stint in the majors and is a feel-good story for the Yankees. He won’t likely stick with the big-league team for long with Tommy Kahnle on the mend.